With billions of animals involved, the volume needed to produce this much meat is massive and can be hard to grasp. This article shows how many animals are being killed around the world, right now. 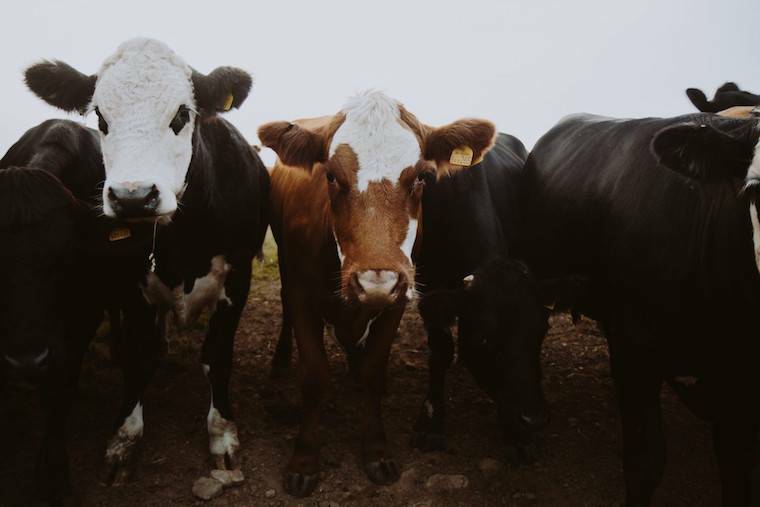 For the first time since 2012, meat is on the rise. 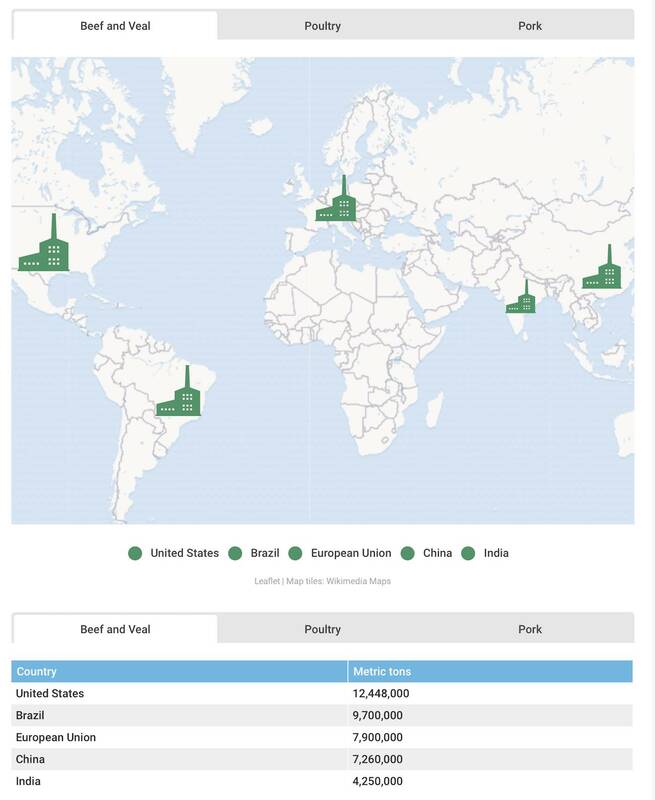 Exports for the 35.4-billion-dollar beef industry are forecasted to increase 5% in 2018. Broiler meat, which are chickens raised specifically for consumption, is up 2%, and pork is up 1%. Here’s how production breaks down by the top countries, measured in metric tons. With billions of animals involved, the volume needed to produce this much meat is massive and can be hard to grasp. Here’s how many animals are being killed around the world, right now. 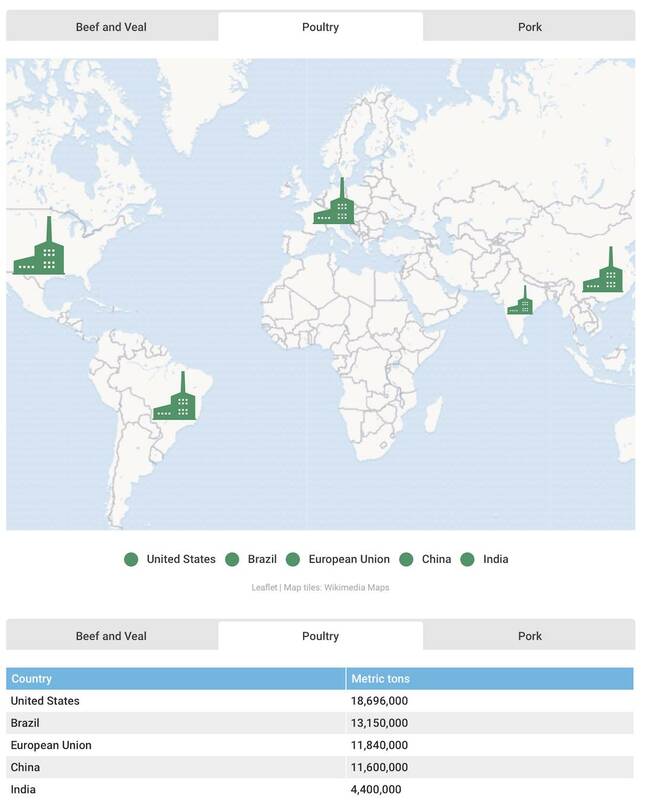 The global leader of all meat production is—you guessed it, the United States. But new trade agreements are shuffling import-export relationships around the world, so things are in flux at least in terms of the runner-up rankings. With China on the boilerplate, the U.S. is looking to Mexico, South America, and Japan for new trade opportunities. Plus, India and Australia just signed a free trade agreement to bolster their struggling beef markets. 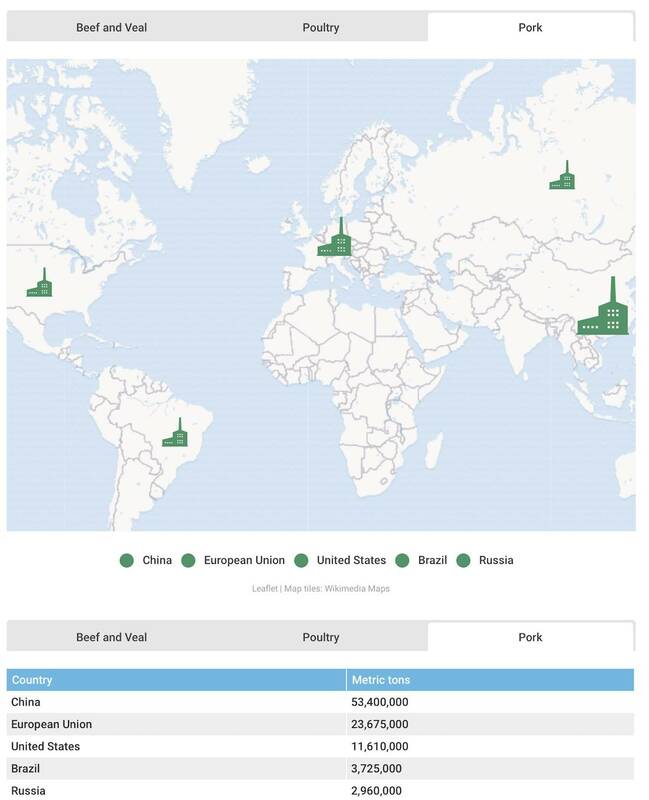 And Russia is increasing its pork production, mostly to meet domestic demand.